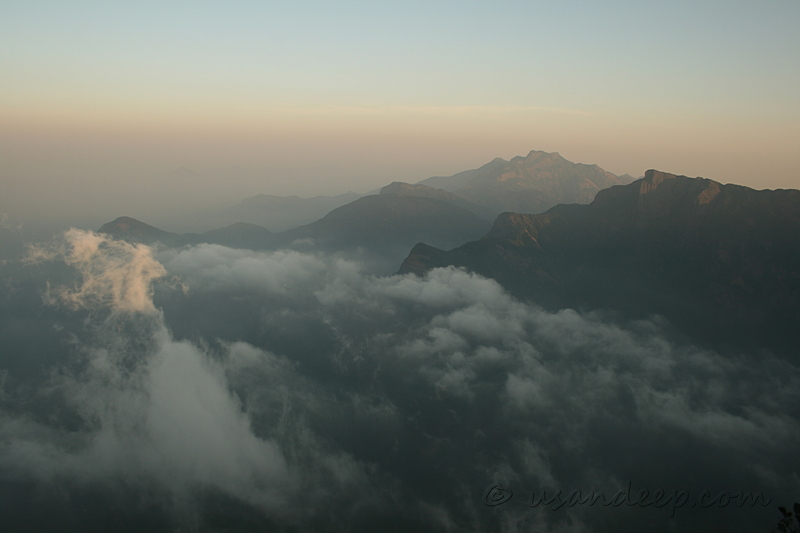 One of the most memorable treks when I managed to climb up the Vellarimala hills and scaled the Vavul Mala peak. This picture is from day 2 morning after camping at Masthakappara of the hills towards Wayanad side. I always wanted to figure out if the hills I am seeing from Chembra hills is Vellarimala / Vavul Mala, but the hill that we see from here did not look like Chembra at all. It took me a few more years to figure out that there is a 2100m peak between Chembra and Vellarimala, leading to probably my best ever trek to Wayanadan Mala.